The evolution, ages and masses of neutron stars are the fundamental threads that make pulsars accessible to other sub-disciplines of astronomy and physics. A realistic and accurate determination of these indirectly probed features play an important role in understanding a very broad range of astrophysical processes that are, in many cases, not empirically accessible otherwise. For the majority of pulsars, the only observables are the rotational period, and its derivative which gives the rate of change in the spin. I start with calculating the joint P-Pdot distributions of millisecond pulsars for the standard evolutionary model in order to assess whether millisecond pulsars are the unequivocal descendants of low mass X-ray binaries. We show that the P-Pdot density implied by the standard evolutionary model is inconsistent with observations, which suggests that it is unlikely that millisecond pulsars have evolved from a single coherent progenitor population. In the absence of constraints from the binary companion or supernova remnant, the standard method for estimating pulsar ages is to infer an age from the rate of spin-down. I parametrically incorporate constraints that arise from binary evolution and limiting physics to derive a "modified spin-down age'' for millisecond pulsars. We show that the standard method can be improved by this approach to achieve age estimates closer to the true age. Then, I critically review radio pulsar mass measurements and present a detailed examination through which we are able to put stringent constraints on the underlying neutron star mass distribution. For the first time, we are able to analyze a sizable population of neutron star-white dwarf systems in addition to double neutron star systems with a technique that accounts for systematically different measurement errors. We find that neutron stars that have evolved through different evolutionary paths reflect distinctive signatures through dissimilar distribution peak and mass cutoff values. 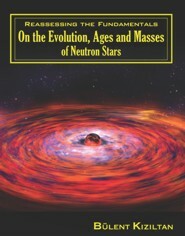 Neutron stars in double neutron star and neutron star-white dwarf systems show consistent respective peaks at 1.35 Msun and 1.50 Msun, which suggest significant mass accretion has occurred during the spin up phase. We find a mass cutoff at 2 Msun for neutron stars with white dwarf companions which establishes a firm lower bound for the maximum neutron star mass. This rules out the majority of strange quark and soft equation of state models as viable configurations for neutron star matter. The lack of truncation close to the maximum mass cutoff suggests that the 2 Msun limit is set by evolutionary constraints rather than nuclear physics or general relativity, and the existence of rare super-massive neutron stars is possible.